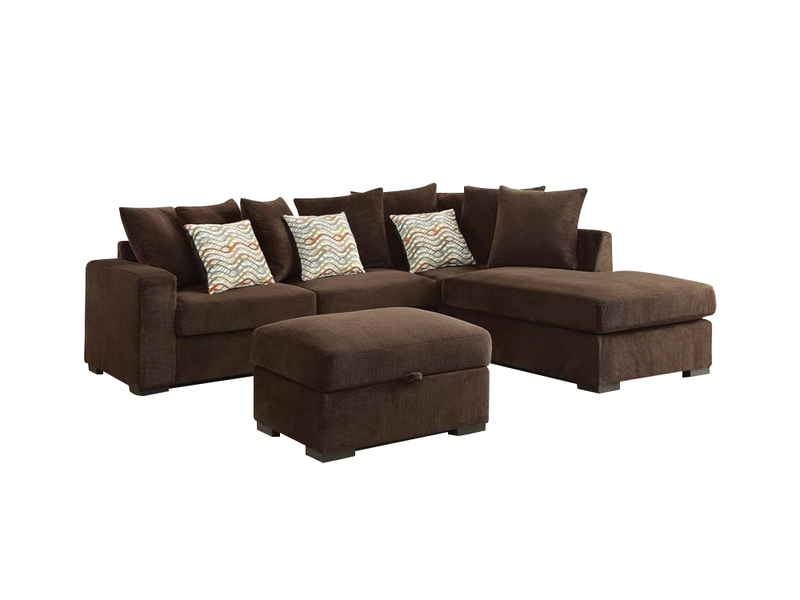 Looking for a space saving sectional, don’t look any further! 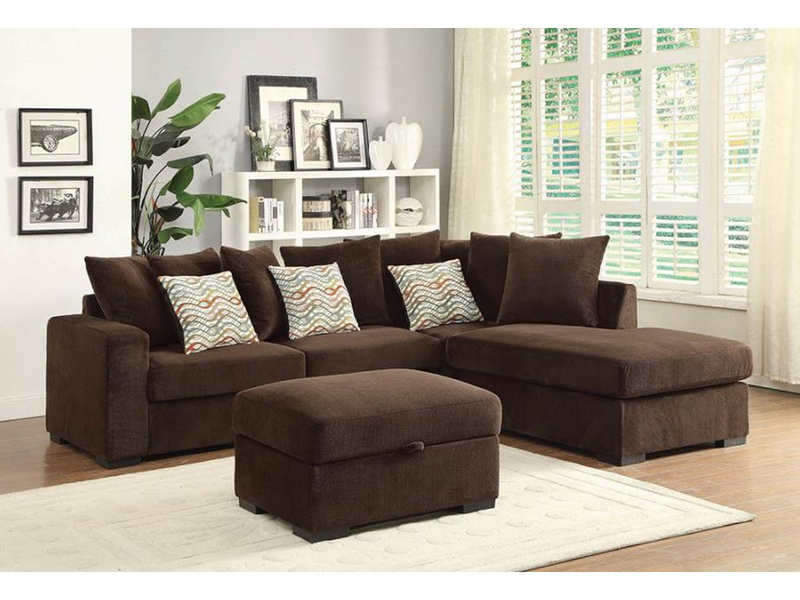 The Wabash Sectional Sofa,with its brown finish fabric, is an elegant and cozy piece which combines comfort and warmth to your living room. The width of its cushion makes it very appropriate for watching tv or relaxing with friends. The chaise is on the left side of the sectional. A rectangle or square table will work equally to finish the look. The fabric allows you to play with decorative pillows especially light yellow and tropical patterns. The Wabash is a great option for your living room and is also part of a great, already designed package we have specially created for you living room. Check our living room packages for details.